A 0 star rating means ‘Urgent Improvement is necessary’ while a 1 star rating means ‘Major improvement is necessary.’ All of the businesses featured received a 1 star rating unless otherwise indicated. All ratings were correct and recorded on the Government’s Food Standards Agency website as of March 19, 2019. 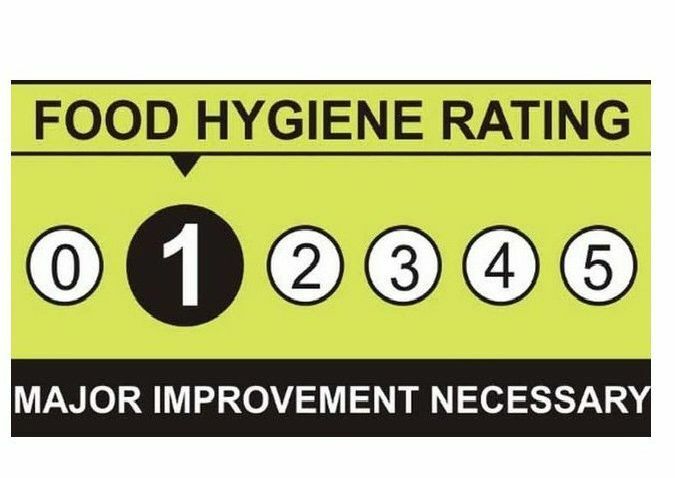 We searched for eateries in Boston borough which have a 0 or 1 star food hygiene rating. There are none. All of those featured here come under East Lindsey. The numbers here represent a minority of eateries in the district. A search of such businesses in East Lindsey achieving the top 5 star food hygiene rating brings back over 600 results. 55B Roman Bank Skegness PE25 2SW. Last rated on December 14, 2018. Copyright: Google. Walshs Holiday Park Roman Bank Skegness PE25 1QP. Last rated on September 10, 2018. Copyright: Google.